It has been a rainy week, but hopefully we will have a few windows of sunshine this weekend to get out to enjoy everything Hendricks County has to offer. One of the major highlights this weekend is the 10th Annual Miniature Fine Arts Show at Artistic Designs Gallery in Brownsburg. I had a chance to see just a few of these miniature works, and they are truly incredible. 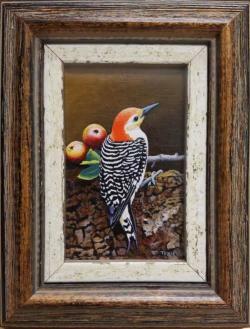 Miniature Fine Art is defined as original art on a small scale with exquisite attention to detail and extremely refined technique. The most extreme works of miniature fine art are created under magnifiers, and can take up to 6-8 times longer than a work of art painted to scale. This year&apos;s show at Artistic Designs Gallery will run through Aug. 27 and features more than 125 miniature drawings and paintings for sale. Gallery hours are 10 a.m.-7 p.m., Tuesdays and Thursdays, 10 a.m.-5 p.m. Wednesdays and Fridays and 10 a.m.-4 p.m. Saturdays. The show is open to the public at no charge. The Avon Marching Band will host a community day event Saturday featuring food trucks, local vendor/craft booths, a car show, Armed Forces Mass Swear-In Ceremony, and an Avon Police Department vs. Avon Fire Department wing challenge rematch. Plus, the marching band will perform and reveal its 2016 theme. The event is located at Avon High School and runs 5-8 p.m. Admission is $5. Children ages 2 and under are free. Editor&apos;s Note: We received word on Friday, Aug. 19 after this story published that this month&apos;s Summer Sounds event has been cancelled due to forecasted weather. A make-up date has not been set. 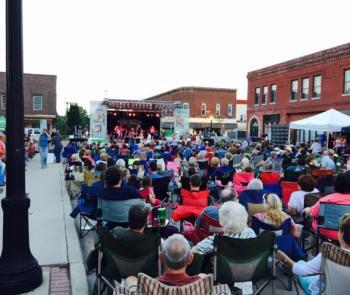 If you&apos;re searching for some live music to enjoy this weekend, head over to the historic Hendricks County Courthouse Square in Danville for Summer Sounds on the Square featuring Levi Riggs. Riggs is a country artist from Danville who now lives in Nashville, Tenn. Tickets for the concert are $7 for ages 21 and up. Under 21 are free. A food court and beer garden are available. Gates open at 6:30 p.m., and the show starts at 7:30 p.m. Learn about bats at McCloud Nature Park this Saturday, 7:30-9:30 p.m. A bat biologist from the Center for Bat Research, Outreach, and Conservation at Indiana State University will lead a night hike through the park. Cost is $4 for adults, and $2 for children ages 2-12. Click here to register. Be sure to check out all of our things to do this weekend or anytime on the Events Calendar.